Urgent alert to save Susya village from destruction | The Only Democracy? Please have a look at the announcement below. For the last twelve years we have worked closely with our Palestinian friends in Susya, protected them to the best of our abilities from continuous violent harassment by Israeli settlers and by the army, fought the legal battle to keep them on what is left of their lands, celebrated weddings and births with them, cleaned wells, put up solar-energy installations in the village, and stood by them in their homes and fields. The Civil Administration– that is, the Occupation authority– has now distributed demolition orders which, if carried out, will destroy the entire village. This means only one thing: cruel and violent expulsion. Those of you who are in Israel: please come with us to the protest vigil on Friday, June 22nd. Those of you who are abroad: we urge you to make your protest known, urgently, in whatever ways you can, in the media, in appeals to your representatives in government and in high positions, to anyone who can intervene. Although the Occupation as a whole aims at dispossessing Palestinian civilians as its sole raison d’etre, only rarely have we seen an attempt like this to drive out an entire village in one fell swoop. This is not the first time the Susya Palestinians have been expelled from their lands; we must not let it happen again. I will be sending out a more detailed description soon; meanwhile, please read the information below and, if you can, sign up for the Friday vigil. Israeli army forces are threatening to demolish the entire Palestinian village of Susya. This week, demolition orders for approximately fifty dwelling structures were handed out, which add to numerous additional orders issued recently. In addition, the Civil Administration has announced to the residents of Susya that it intends to implement six demolition orders issued in the 1990s and 2001. From past experience, such notices are only given when there is genuine intention to go through with demolitions. The demolition orders cover most of Palestinian Susya. Not only dwelling structures but also animal pens, water cisterns, the solar-powered electricity system – everything. Unlike Givat HaUlpana, this is not a case of building on lands privately owned by others. The rights of Susya’s Palestinian residents over the land in which they reside have been legally demonstrated and acknowledged by the Israeli authorities. The occupation authorities deliberately refrain from approving a master plan for Susya in order to deny its residents (like those of many Palestinian villages in area C) any possibility to build in a manner the Israeli authorities will consider legal. Unlike the settlers form Givat HaUlpana, no one will offer the residents of Susya any reimbursement. They will receive no alternative housing. No one will speak of a housing arrangement during the interim period. Netanyahu will not offer to relocate their homes. After their village will be demolished, the residents of Palestinian Susya will simply be driven into the desert, and not for the first time. 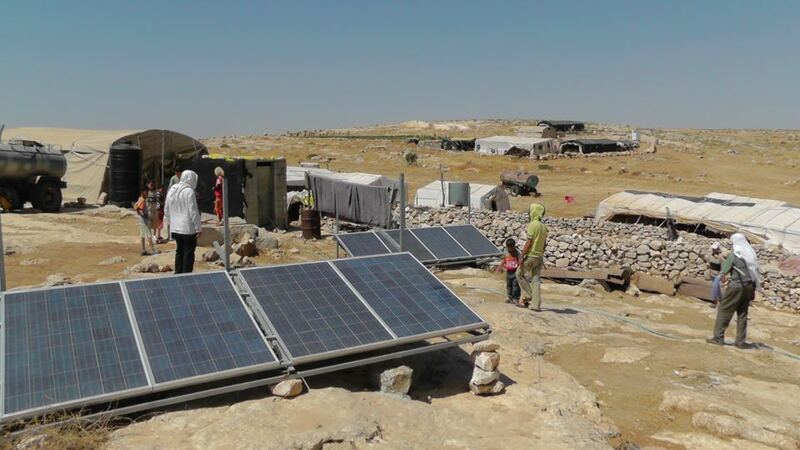 Since the establishment of the nearby Israeli settlement of Susya, the residents of Palestinian Susya were evicted from their lands four times. No to the expulsion of people from their homes and tents!